As a doctor, I have traveled and worked in various, distant destinations in the world. Once or twice, I have found myself in the midst of a humanitarian crisis - an earthquake zone, a collapsed school, a flooded country. As I reflect back on some of the hardest moments of my life in medicine, surrounded by destruction and poverty, I have realized that on each unique occasion, I palpated something very special - an indescribable, universal hope in places I did not think it was possible to have. From the spinal victims of the Haiti earthquake - left paralyzed in the collapsing rubble, to the teenagers with advanced bone tumors in Cambodia - still believing in cure, to the young and enthusiastic surgeons of Ethiopia - determined for a better future for their patients, a weaving pattern emerged of hope in uncertain times, a centrally bound thread that seemed to bind us altogether. Indeed, so powerful was this connection that I once described hope as the most valuable currency in the world, for it kept us alive and richer than money itself, and could be traded for beautiful, priceless memories as we got older. But hope is not limited to the sphere of health, it is present in every facet of life. The recent verve and ignition of a new and hopeful brand of democratic politics has consolidated this concept that hope is an addictive, adrenaline-fueled chemical, that once injected into our veins, allows us to believe that seemingly insurmountable obstacles can be overcome, that certain losses can be reversed and won, that mountains can be conquered. The epic rises of inspirational politicians with their mantra of hope over hate, hope over fear, hope above all else, has united people of all backgrounds, ages, and races, to a common belief that anything is possible. This united chanting of hope orchestrated by rousing politicians echoes the same hope I felt in so many impoverished countries in the world, where the people remained hopeful of a better future in much bleaker circumstances. 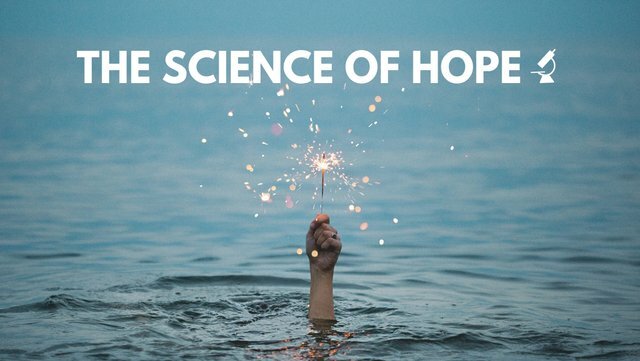 This concept of hope inspired me to research our knowledge of this invisible, beautiful drug - in order to understand its scientific qualities, its indications, side-effects and how it can be measured. Hope, it seems, was investigated and studied quite extensively in the late twentieth century. A commonly cited theory of hope(1), subdivides this drug into four categories: goals, pathways, agencies, and barriers. For example, the goal of the Cambodian teenager, who has an advanced bone tumor, sets their goal as a cure from the disease but with great uncertainty on how this can be achieved given the limited treatment options in the country. Perhaps the pathway they will navigate is through Khmer traditional medicine, believing in this roadmap as they turn away from Western medical advice, in the hope of avoiding an amputation. Their motivation and agency may begin to wane, once the blockades of traditional treatment failure become apparent and the tumor continues to grow before a new journey and map is drawn out. They return to western medicine, often in the latter throws of their disease, still hopeful but the blockades now almost inevitably insurmountable. I am truly unsure of whether I completed the questionnaires correctly, or indeed, scientifically my results can be analyzed at all. Perhaps, as I get older, my hopefulness is less than that of the average undergraduate student. I have not researched the theory of hope as much as I would like to be truly analytical. However, filling in the questionnaire did not feel natural to me and it seemed uneasy trying to numerically define the molecules of hope in my body. I still do not believe this miraculous substance can be counted accurately by researchers, even if the scores and scales have been tested and validated. I believe hope is a living entity, that rises and falls, waxes and wanes can be suffocated or elevated, by your inner self, by other hopeful people around you, by inspiring healthcare staff, by uplifting politicians. How do you scientifically quantify my hope that there will be access to safe surgery to the billions of people across the world? My hope of a long-lasting, romantic relationship with my loving, beautiful wife. My hope of a better, more just society with less poverty and more equality. My hope for good outcomes for all my patients. My unrealistic hope of this post being read to the very end shared even once! Hypothesis: There is Hope. In C.R. Snyder (Eds. ), Handbook of Hope Theory, Measures and Applications (pp.3–21). San Diego: Academic Press.Snyder, C.R. (2000). 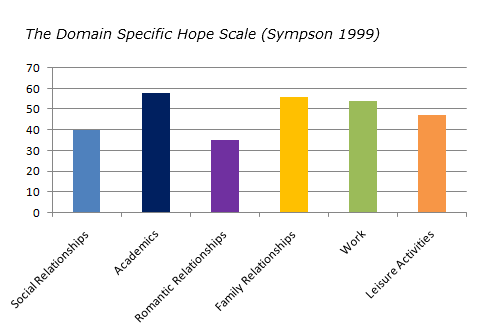 Diagnosing for Strengths: On Measuring Hope Building Blocks. In C.R. Snyder (Eds.). Handbook of Hope Theory, Measures and Applications (pp.57–85) San Diego: Academic Press. Lopez, S.J., Ciarlelli, R., Coffman, L., Stone, M., & Wyatt, L. (2000). I expected more feedbacks on your post..not just robots.. I myself see a superpower in me in everyday life and that's an extreme hope piercing into any obstacle... and that's why your post took my attention.. Thanks bitpost, I agree, with hope and belief in yourself anything is possible!